Considered the ‘Designers Choice’, NEW Safetred Wood is the ultimate safety floor and offers the most contemporary trends in wood species and colour. 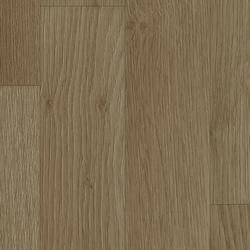 The elegant greys and rich natural oak tones are further enhanced with a new 'super matt' effect surface which also delivers better stain and scuff resistance. Still the ultimate in floor protection thanks to its sustainable R10 slip resistance rating, phthalate free technology contributing to better indoor air quality and VOC emissions 10 x below European standards, NEW Safetred Wood with its new 'Smart Particle Technology’ looks and performs better than ever.